Discraft UltraStar is the official disc of USA Ultimate. Also known as practice discs, these misprints are perfectly manufactured UltraStars with a cosmetic flaw in the printing. 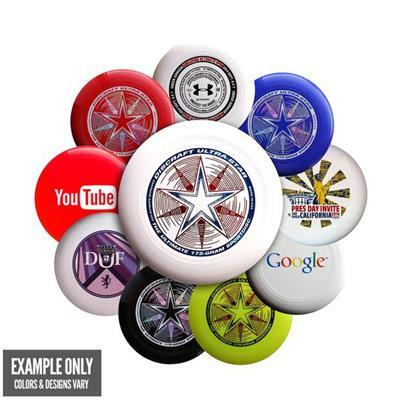 They come in a bundles of 30 discs in assorted colors and designs only. Low cost misprints are not available in all white packs.